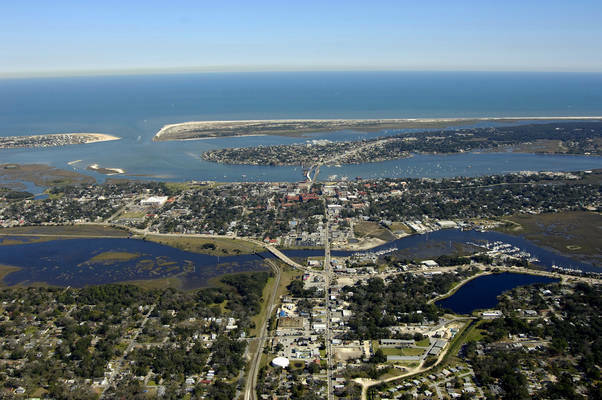 Partly cloudy starting later this afternoon, continuing until tomorrow afternoon. 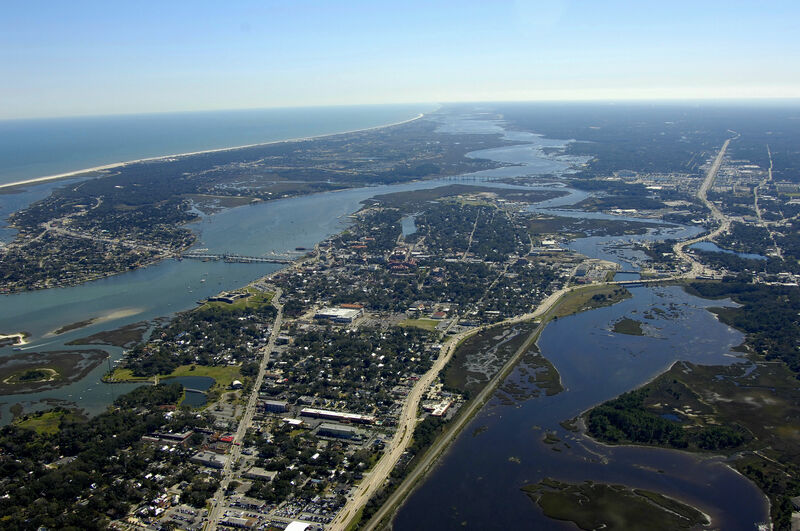 Boating, fishing and water activities are extremely popular activities in the Saint Augustine area, as are beach combing and wildlife exploration. 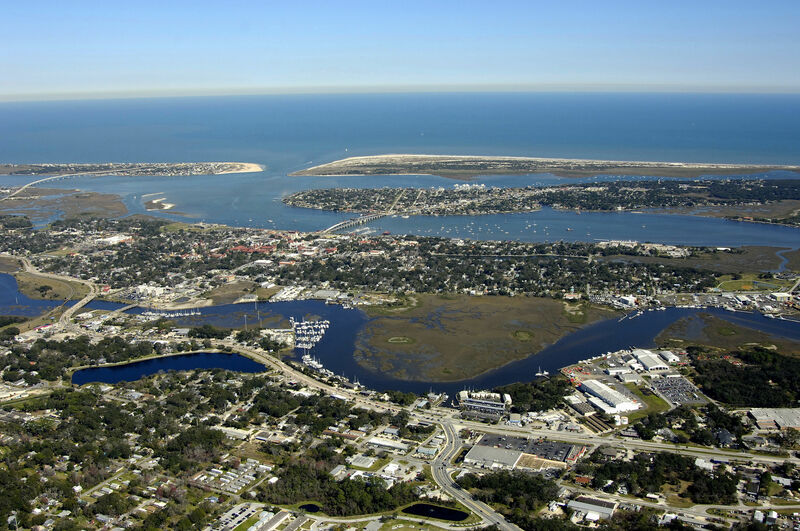 See the Helpful Links section at the bottom of this page for more detail information and a calendar of events. Located just and hour south of Jacksonville, St. Augustine is best know as The Oldest City In America. With a history dating back to the fourteenth century, beautiful sand beaches, plenty of marinas and an authentic Spanish fort on its shores, St. Augustine is a wildly popular stopover for transient boaters. 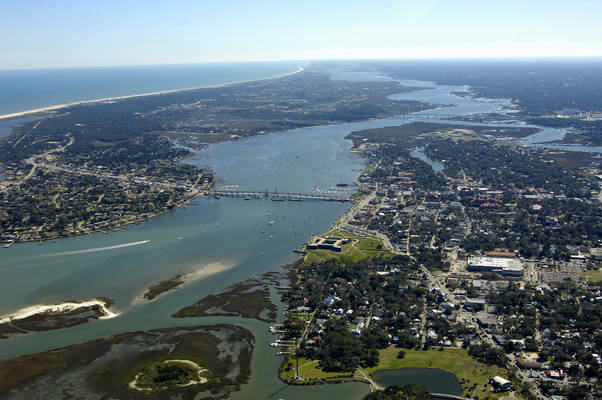 The image above is a view from the south looking north over the San Sebastian, Matanzas, and Tolomato rivers where they converge near the St. Augustine Inlet. The St. Augustine Inlet can be seen upper right (east) and the Tolomato River is visible entering the area just north of the inlet south of the Usina Bridge. To the left (west) is the San Sebastian River, which has a good variety of marina facilities up to the King Street fixed bridges. 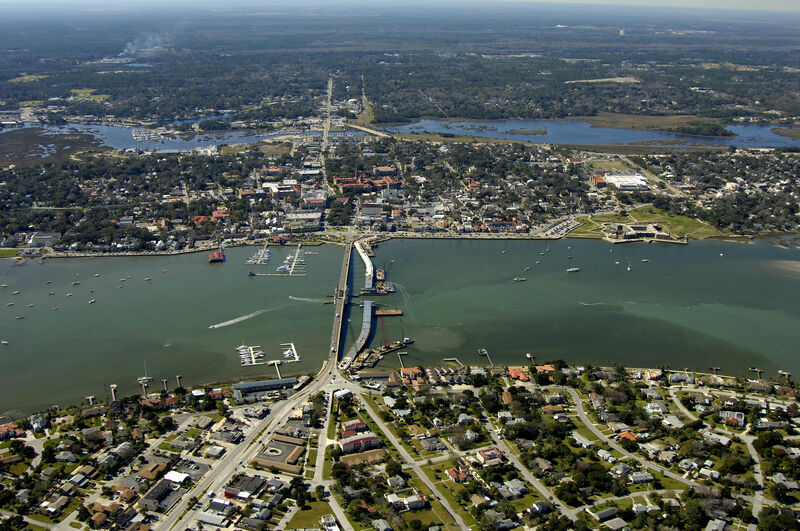 Saint Augustine Florida is the oldest European city in the United States. 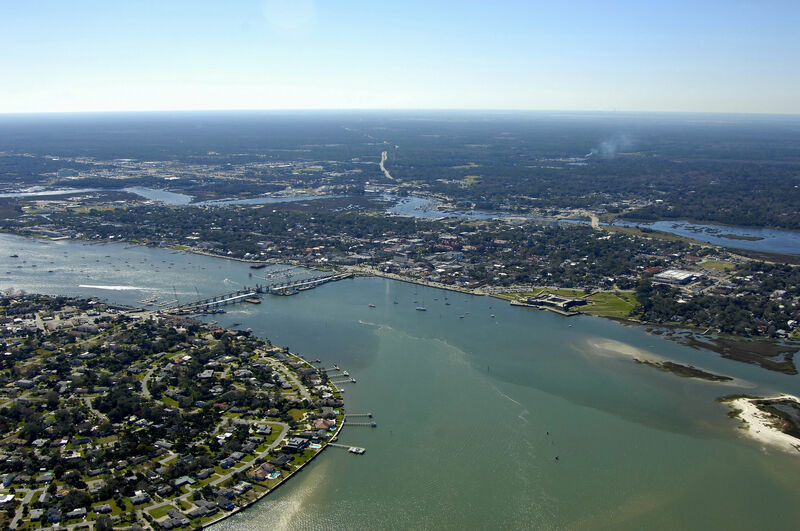 The area was first visited by Ponce de Leon in 1513, but it was Juan Menendez de Aviles who established the first settlement, almost half a century before the first English settlers landed at Jamestown. 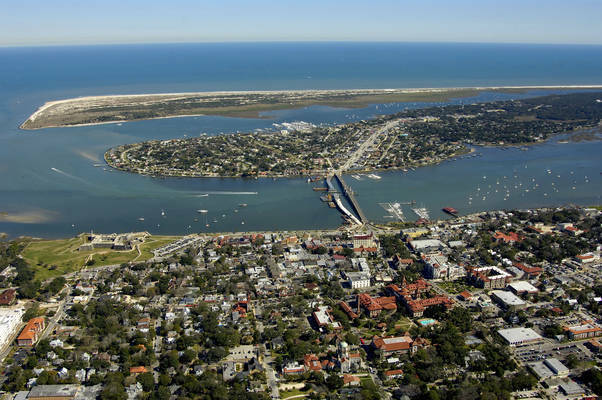 St. Augustine grew to become the Spanish center of power in North America for almost 200 years. 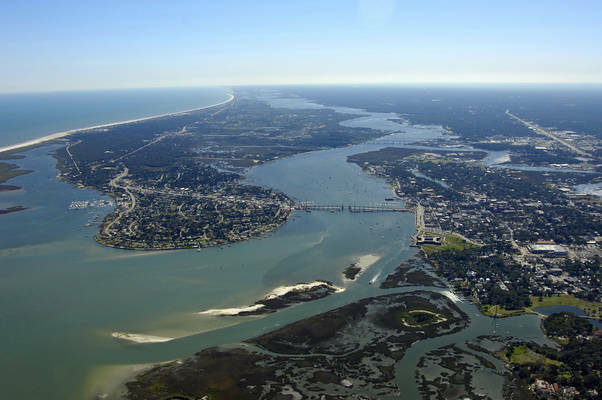 The St. Augustine Inlet is by far the most dynamic part of the area where it, the Tolomato and Matanzas rivers converge. Though local boats use this are heavily and frequently, visiting boaters should be aware that the inlet is potentially hazardous during windy conditions when wind meets current. 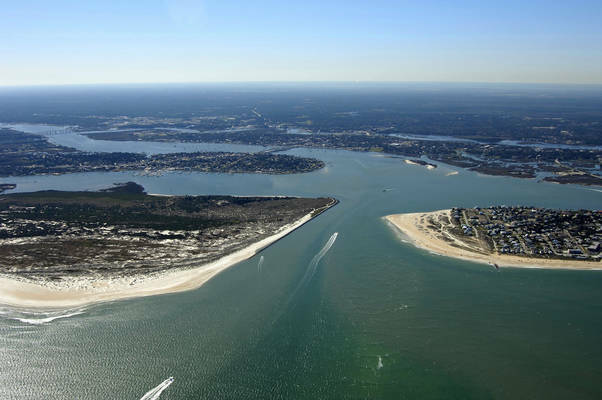 The shallowest portion of the inlet, by far, is the area around the outside markers, which are uncharted, as they are moved frequently by the Coast Guard to reflect the deepest area of the inlet. If you are in doubt as to current conditions in the inlet, you should call ahead to one of the St. Augustine-area marinas or to the SeaTow or BoatU.S towing operations in the area. The Tolomato River passes under the Usina Bridge (65-foot fixed vertical clearance) just north of flashing green 57A, and then proceeds south toward the St. Augustine Inlet past red nun buoy 58C, red nun buoy 58D, an unnumbered flashing red light, red nun 58E, green nun 59, and then red nun 60. Once you have picked up red nun 60, you can set a course southwest toward flashing green 1 and red nun 2, which both mark the beginning of the Matanzas River north of St. Augustine. 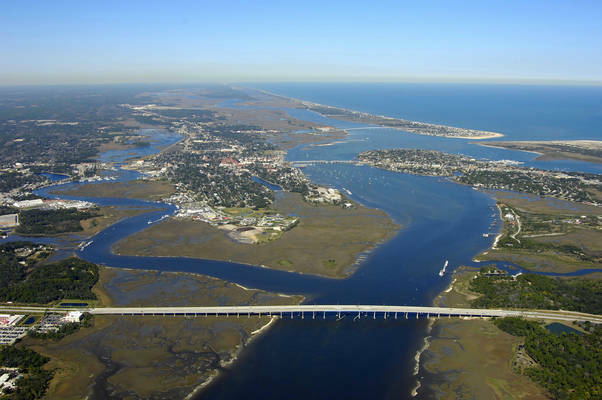 Once you have cleared flashing green 1 and red nun 2, the channel bends toward the west past Davis Shores, eventually turning south near the Bridge of Lions (25-foot closed vertical clearance, replacement span under construction). The Matanzas River then flows south all the way to ICW Mile 810 near Silver Lake. 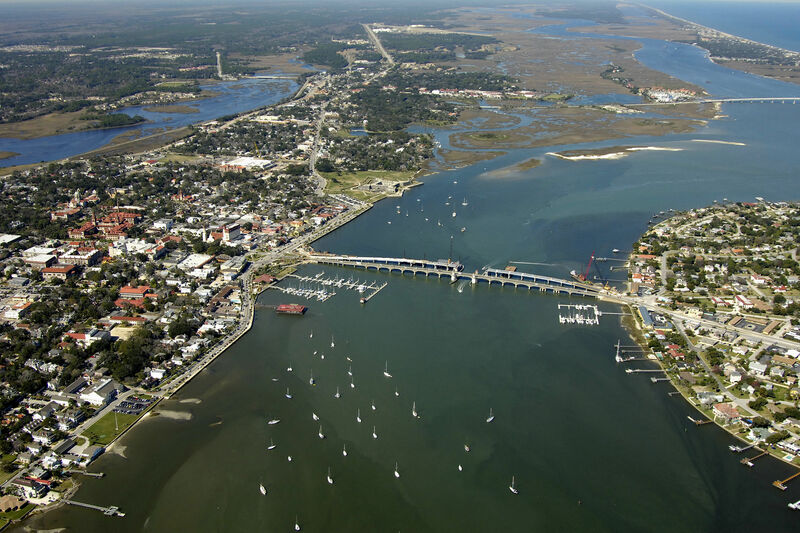 There are many marinas in the St. Augustine area, and most of them cater to transient guests, as this area is very heavily used by cruising boaters. North of the Usina Bridge and the St, Augustine Inlet is the Camachee Cove facility, which has a repair yard, large transient marina, and restaurant bar with dockside slips. 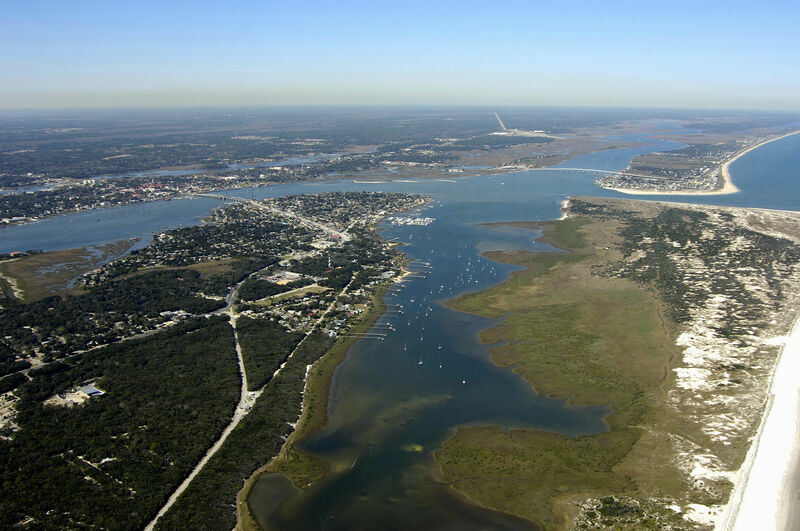 The majority of the rest of the marinas are located up the San Seastian River in St. Augustine, with repair yards and transient marinas on the south and north ends of the river. 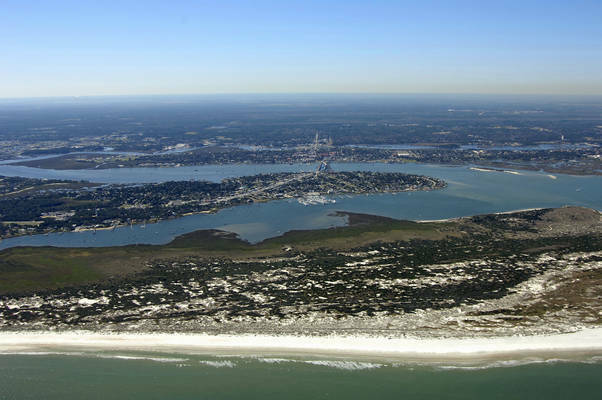 The Jacksonville International Airport is only 52 miles away from St. Augustine, while the Orlando International Airport is only 66 miles farther way (118 miles total). See the links in the Helpful Links section for more detail information on the airports and detailed transportation schedules. No reviews yet! Be the first to write a review of St. Augustine. Southern Carriages / C.B. 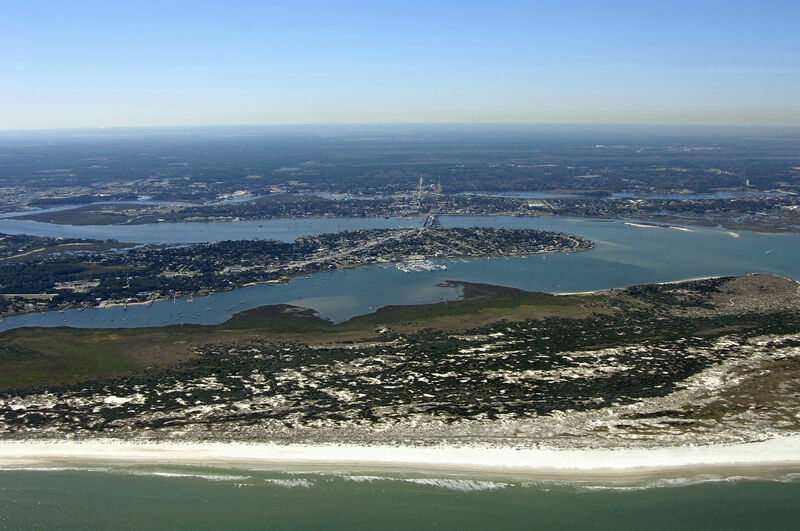 Hinson Inc.